Optimism is the madness of maintaining that everything is right when it’s wrong. 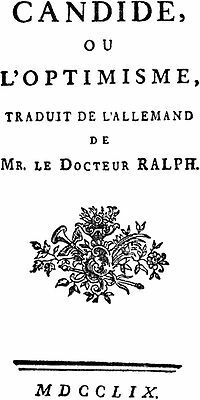 Now, through April, readers can revel both in Voltaire’s sardonic indictment of optimism (and poor Gottfried Liebniz) and in the stories that surround it: The New York Public Library is hosting “Candide at 250: Scandal and Success”– an exhibit (at the Schwartzman Building Gallery) and a wonderful on-line experience. 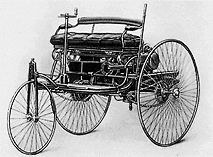 As we discipline our inner Pangloss, we might recall that it was on this date in 1886 that Karl Friedrich Benz patented the Benz Patent Motorwagon– the first “automobile” entirely designed to generate its own power (via a water-cooled gasoline engine)… that’s to say, not simply a motorized stage coach or horse carriage.